Bigger isn’t always better. In fact, when it comes to watches too big can be just… well, too much! 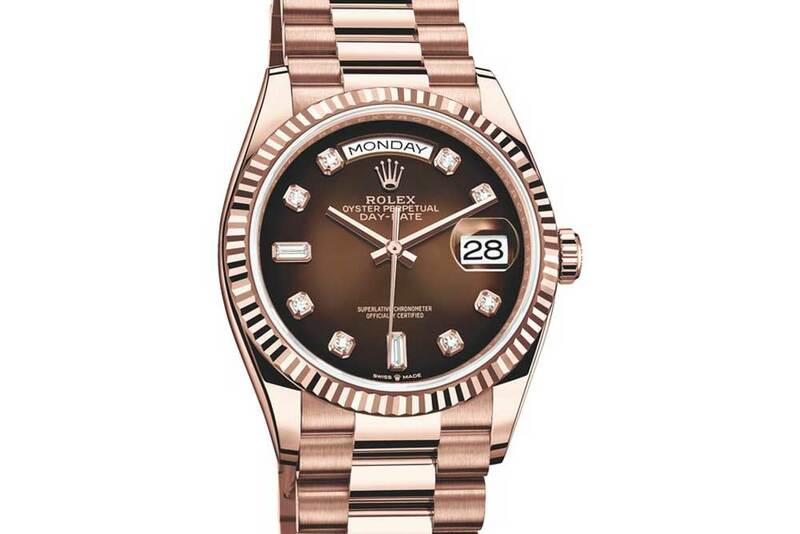 I clearly remember the furor when Rolex beefed up the Day-Date line and made it 40mm, the watch world was up in arms. 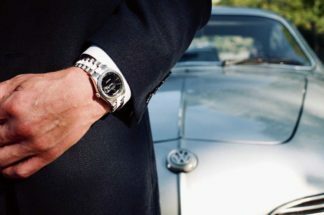 It is actually a very cool wearable watch at 40mm and in fact I own a Datejust 41, which I wear quite regularly (it was a special order piece for Eric Clapton… I’ll write about it one day soon). 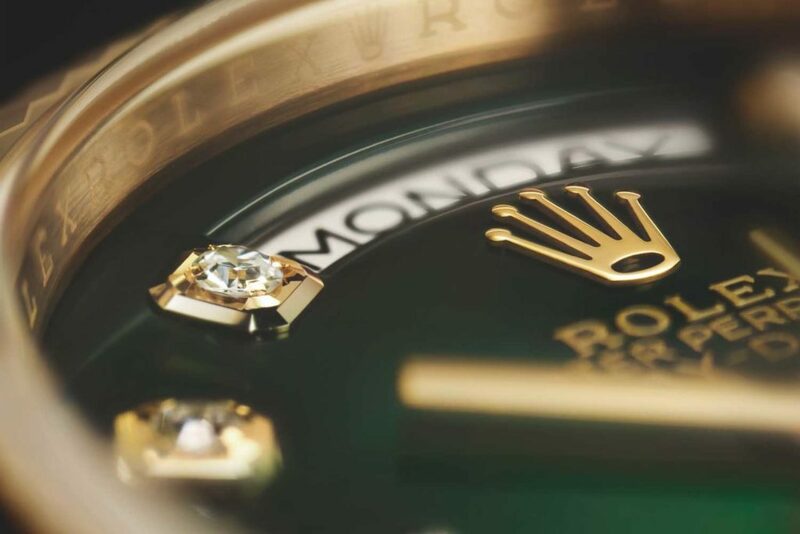 However, the 36mm was, is and always will be the classic size and this year Rolex gave the Day-Date 36 a little facelift with some exciting and interesting new dials and also lent the line a new look from its cousin, the Rainbow Daytona. The Day-Date is 63 years old this year and has held its position in the upper echelons of the Rolex catalogue since its launch in 1956. Initially introduced in a 36mm case, to many this is the ‘correct’ size for the watch and it’s hard to argue with such an assertation. The balance and timeless proportions of the watch in its original size are nigh on perfect. It’s a watch that likes to dress up, put on an opulent display and show off! 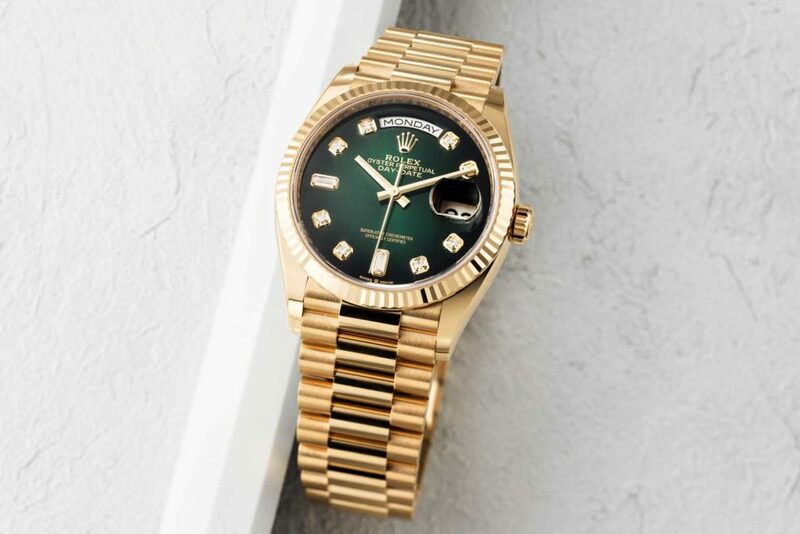 In my opinion, Rolex chose some of its finest dial versions that have historically graced the Day-Date for re-launch this year. First up are what Rolex refer to as Ombré dials. Collectors and auction houses refer to these dials as vignette or dégradé dials and they are highly coveted, especially when set with diamond hour markers. They made a welcome return this year and each gold hue got its own unique version in a sunburst finish with flawless fade from deep color at the perimeter of the dial to a light fade at the center. The yellow gold watch has a green dial, the white gold one in blue and Everose corresponding dial is brown. Each dial features eight brilliant cut diamonds and two baguette cut diamonds at nine and six o’clock. The fluted bezel can also be substituted for a gem-set bezel, featuring 52 brilliant-cut diamonds. If that isn’t enough, then one can go one step further and have the President bracelet’s center links set with brilliant-cut diamonds. Yet, even this isn’t the full-ice treatment. I mentioned at the top of this piece that a touch of the Rainbow Daytona was borrowed for the Day-Date this year. 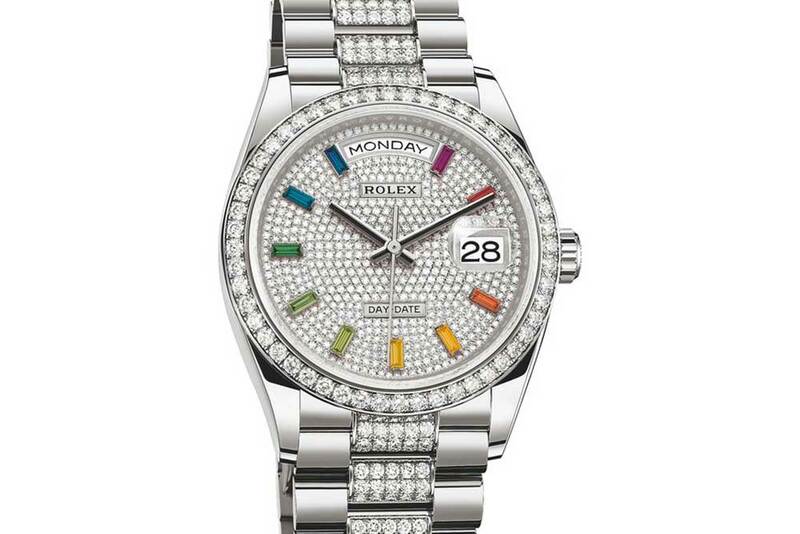 Last year Rolex shocked and delighted in equal measure when unveiling the awesome Everose Rainbow Daytona. Very similar to its older brothers, the Everose featured a new dial where the hour markers were baguette-cut coloured sapphires in shades that matched the rainbow sapphire bezel. The 2019 Day-Date 36 has borrowed these hour markers and they are set on a full pavé dial, which looks particularly good framed by the aforementioned 52-diamond-set bezel. 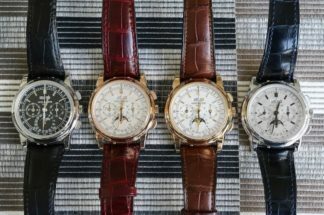 White, Everose or yellow gold – take your pick as its available in all versions and I expect it will sell very well. Rolex did a great job with the Day-Date 36, but there was one that really stood out for me. When I first saw it from a distance I thought it was a new Stella dial. 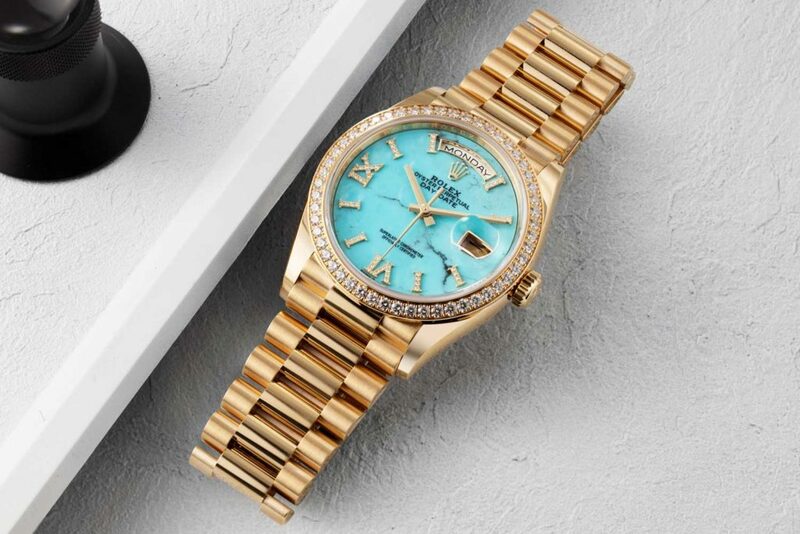 The vibrant turquoise dial in the yellow gold case reminded me immediately of the early ’70s Stella dials. It wasn’t in fact a Stella, but an actual turquoise stone dial. I am a confirmed, absolute, dyed-in-the-wool Rolex Daytona Beach fanatic. And my favorite Beach? Yep, that’s right, the blue turquoise version. Seeing the turquoise dial revived by Rolex at Basel this year was, therefore, a real treat. As the dial is cut from a piece of turquoise, each one is unique. If I could have only one Day-Date, this would be it. And yes, I would wear it on one of my new-old-stock Daytona Beach turquoise lizard straps and would name it the Day-Date Beach!